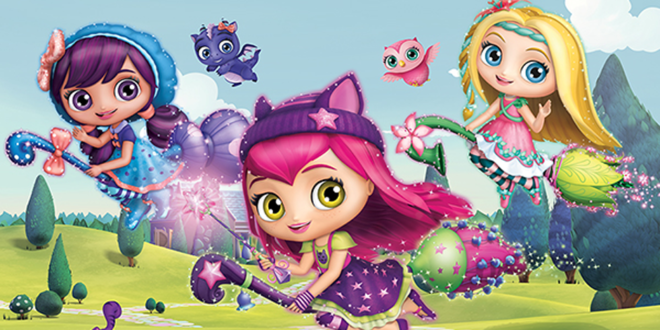 Corus Entertainment’s Nelvana has secured a multitude of new licensing partners for the hit children’s brand, Little Charmers. The next step in the firm’s plans to build the brand on a global scale, Nelvana has secured new partnerships with the free to air digital channel Go! Across Australia and New Zealand. Fusion Agency has been appointed the licensing agent for the property across the territory. Meanwhile, Nelvana has appointed a string of licensing agencies to help take the brand global, including Agosin Licensing in Chile, AMV Licensing in Peru and Bolivia, Big Star across the Carribean, Exim Argentina in Argentina, Paraguay and Uruguay, Empire Multimedia Corporation in South Korea, Philippines, Singapore, Malaysia, Indonesia, Thailand, Vietnam and India, and Arabian Licensing Company in the Middle East and Africa.